"Vanessa found out about Operation Cowboy by accident. What has been the most surprising/intriguing piece of historical research you’ve found out when you least expected it?" Then copy your answer to me at maryhoffman@maryhoffman.co.uk so I can contact you if you win. Tomorrow is a big day for me. After nearly 18 years, it will be my last day as a civil servant. I’ve spent most of that time advising ministers on their policy ideas and helping turn them from ideas to reality – it’s been a job that I’ve (mostly) loved, although it can be demanding, exhilarating and frustrating in equal measure. But what does that mean for the Cabinet of Curiosities, I hear you ask? 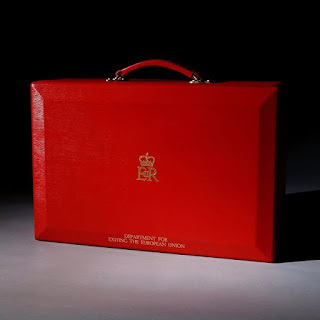 Well, the object I’d like to include this month is a symbol of my time as a civil servant: the ministerial Red Box. 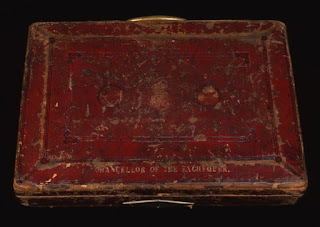 The idea of a ‘despatch box’ (as they are officially known) apparently goes back at least to Queen Elizabeth I, and the same company has been making them for the government since the eighteenth century. There seems to be a debate about whether the red colour again came from Elizabeth I’s reign, or as a result of Prince Albert’s preference, but it is clear that the ‘red box’ has a long and distinguished pedigree. They’re used to transport sensitive papers securely (you can get less obvious black ones if a minister needs discretion e.g. if they are travelling by public transport). 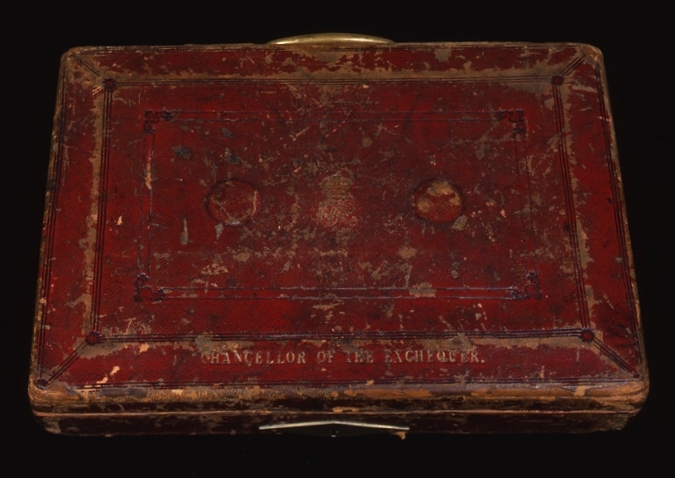 The most famous one is Gladstone’s, which the Chancellor has traditionally held up on Budget day before the assembled press – although the original is now too fragile to come out each year. wherever she/ he is. Of course, the most urgent things can now be sent by secure email, but for routine work, The Box remains all-important. ‘The Box’ is therefore also something that the Minister ‘does’. It is their homework, the decisions that need making, the papers that have to be read, between one day and the next. Whatever your views on individual politicians, most ministers work incredibly hard; long hours in the office and in Parliament, and then home with a box full of papers to look at overnight. I’ve seen official papers come back covered in curry (‘I didn’t get home until after 10 so I got a takeaway and ate while I was working’) and jammy handprints (‘I was doing the box at breakfast and the five-year old got hold of it, sorry’). And of course, it also means that ‘The Box comes back’. Decisions – sometimes partially obscured by curry or jam – are typically handwritten across the papers, and private secretaries diligently decode their ministers’ handwriting and email out to the relevant officials in the wider department for them to be taken forward. It’s a system which may seem a little old-fashioned, but it works. There’s evidence that people take in more information when they read on paper, rather than on screen (see for instance https://www.scientificamerican.com/article/reading-paper-screens/) – so it makes sense to me that The Box should stay to help ministers make the best decisions they can. They’re decisions that I won’t be as directly involved in, in the future. It is something I’m both sad about and relieved by – I will no longer be clock watching, wondering if I’ll make the box deadline or not, ruled by the tyranny of when a briefcase will leave the building - but nor will I have the undoubted privilege of helping ministers to make decisions which impact us all. Our guest for August is Vanessa Harbour, author of the début novel for young readers, Flight, which deals with the rescue of a troop of Lipizzaner horses from the Nazis and their arduous journey to where the famous Riding School was based during WW2. Vanessa Harbour is a writer and academic who loves words and believes in living life to the full regardless of what life throws at her. In particular, she likes to weave her words into stories for children and young adults, providing moments of hope in a difficult world. When she was growing up she wanted to be either a doctor or writer. Now she is a Doctor of Creative Writing so has the best of both worlds. 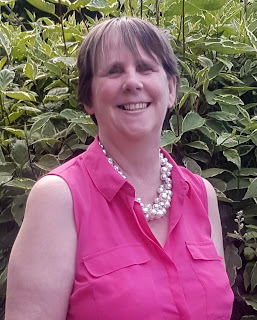 She is a Senior Lecturer in Creative Writing at the University of Winchester. She is also Academic and Diversity Consultant/Editor at the Golden Egg Academy. Flight is her first novel which is her tribute to her parents who both served during WW2. As a child I was about passionate horses. I read everything I could about them. All the fiction and lots of non-fiction too. Anything I could find I would read. It was in the non-fiction where I first started to hear about the Spanish Riding School in Vienna and the magical dancing horses. I was fascinated by them. In 1974, I was lucky enough to go and see them perform live at Wembley Arena. It was an awe-inspiring performance. I was convinced I would be able to do that too. The poor dog went through hell as I made him try and perform the same exercises. At that stage I never thought much about the history of the school I just focused on the horses and how beautiful they were. It was only much later, on one August Bank Holiday when I was trying to think of a story that I started asking questions about what had happened to the Spanish Riding School during the Second World War. Their history began to unfold in front of me. My story focuses on a particular moment in its history, but the Spanish Riding School had been in existence for a lot longer than that. During the Renaissance, in 1572, Maximilian II had a ‘Spanish Riding Hall’ built for his valuable ‘Iberian Freight’ which I imagine to be is his Iberian horses. He had a menagerie of many other animals too. This description was believed to be the first mention of the ‘Spanish’ connection. The hall was part of the Stallburg within the complex of the Hofburg in Michaelerplatz. Various Emperors and fires had an impact, but it was Karl VI who employed the architect Joseph Emanuel Fischer von Erlach to build the current riding hall between 1729 and 1735. (He and his father had already been responsible for a lot of the buildings in Vienna) The Winter Riding Hall, as it is called, is very glamorous, it is painted all ivory and the only colour comes from a portrait of Karl VI which, even today, the riders doff their bi-corn hats at as they come in. It has very large windows and huge crystal chandeliers. The horses are treated royally on the site, housed in roomy stables. Even these are decorated with stucco decorations and are always kept spotless clean. There are amazing archways from the stables leading out to a courtyard. These archways were bricked in at one point to keep the artworks safe but were re-opened in 1945. The hall itself was not just used for displays by the horses. Balls, masquerades and music festivals have been held there. For example, it was seen as a temple of music when Ludwig van Beethoven conducted a mass concert with more than 1000 singers and musicians in 1814. During the Hungarian revolution the new Austrian parliament was held there for its first session on July 22nd, 1848. It is known that horses at the Spanish Riding School are always the elegant Lipizzaners. Renowned for being pure white and highly intelligent. They are not born white though. They will be black or brown depending which bloodline they have descended from. As they grow up the colour changes, almost fades, until they become pure white. If you look through the fur you will still see that the skin is either brown or black. Very rarely they don’t change, and they are believed to be very lucky. The Lipizzaners initially started in the 16th Century with blood stock from Arabs, Barbary and Iberian horses. It was strengthened and increased until the 18th century when the breed were well and truly established. The Sire’s bloodline can be traced back to one of six stallions: Pluto, Conversano, Neapolitano, Favory, Maestoso and Siglavy. Every horse, even now, is given a brand that includes the initial of the one stallion’s bloodline out of the six they have come from. The stud was later moved to Piber and remains there. At the Spanish Riding School, they display the fine art of riding, but this is also not new. Xenophon, a pupil of Socrates in ancient times, compiled rules for riders in about 400BC. This was called On Equitation and is still valid today. During the Italian Renaissance the art was revived, in particular, in Naples by the nobleman Federigo Grisone, known as “The Father of the art of Equitation” who in 1552 wrote Ordini di Cavalcare. However, his methods were rather reliant on force. His training was not about art. It was about being aware of the horse and being able to control the horse because above all he was about creating a horse that could be used on the battle field. In France, the art of horsemanship in the 1600s progressed until an instructor by the name of François Robichon de la Guérinière, who rejected the idea of force, wrote L’École de Cavalerie, which was illustrated by Charles Parrocel. This is still used today by the Spanish Riding School as a guiding principle. Exercises carried out by the stallions such as Haute École and Airs Above Ground are based on both Xenophon’s and Guérinière’s work. 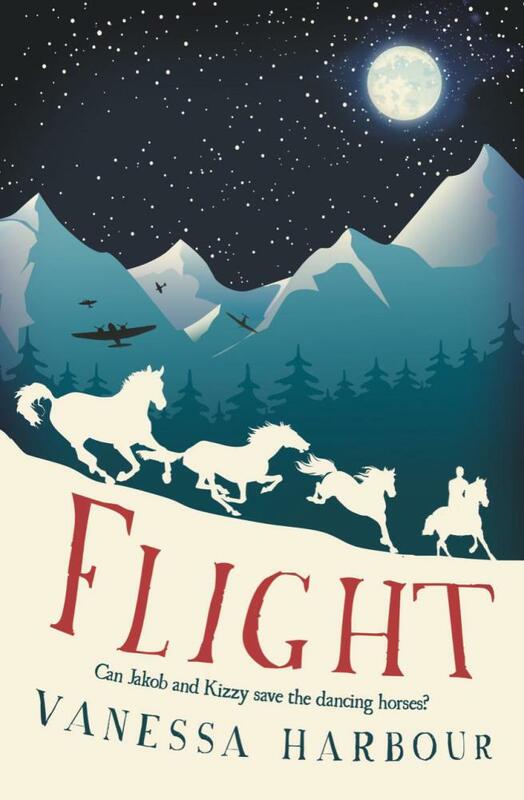 The period that I focus on in my novel, Flight, is during the time when Alois Podhajsky is the director of the Spanish Riding School. Major Podhajsky took over in 1939. He had previously won a bronze medal for dressage in the 1936 Olympics. Remaining as director until 1964. He also wrote several books about riding and the rules of riding. During the war he did his best to protect the horses. This included trying to protect them when Hitler decided to try and create a ‘perfect war horse’ in Hostau using the mares from Piber. The Nazis did not particularly like his interference with their breeding plans. The School itself managed to avoid destruction in the bombing of Vienna but by the March of 1945, Director Podhajsky had managed to negotiate to get the stallions out to safety at St Martin. Where they stayed in exile until 1955. Some have suggested that the performance, or exhibition as General Patton called it, enabled Operation Cowboy, but others say it was going ahead anyway. It is my understanding that there is no documentation to corroborate this suggestion, and he certainly doesn’t mention it in his memoir. Operation Cowboy is the code name for the mission to rescue the mares and some prisoners of war from Hostau in Czechoslovakia. It is something I am currently researching and perhaps worthy of another blog post at a different time. I find it a fascinating period and still find many new elements and intriguing story lines.